London's Chocolate: Divine Chocolate - Fairtrade Pop-up and New Flavours! 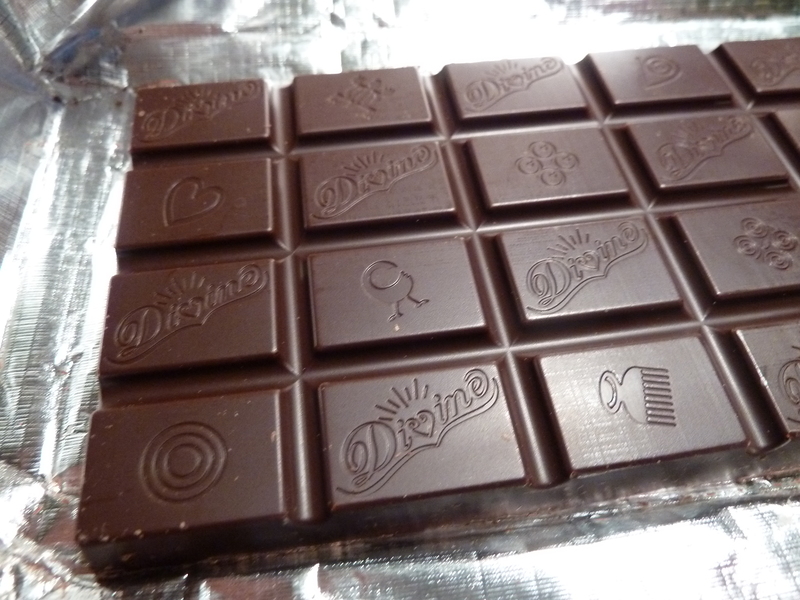 Divine Chocolate - Fairtrade Pop-up and New Flavours! In case it's somehow passed you by, the past two weeks were Fairtrade Fortnight with the aim to promote fair wages for farmers and producers in developing countries. In honour of these awareness weeks, Divine Chocolate have been holding a pop-up shop in Covent Garden to showcase their products and their brand new flavours. As well as a range of tantalising chocolates, there's a photo exhibition of Kuapa Kokoo, Ghanian cocoa farmers who own 45% of Divine, and thus influence how the company is run and share in the profits. Today (March 9th) is the last day, so hurry if you don't want to miss it! Divine have just released the brand new Milk Chocolate Toffee and Salt, which is proving incredibly popular. Personally, I find a little too sweet and it can't quite rival my affection for Lindt's Dark Chocolate with Caramel and Sea Salt. 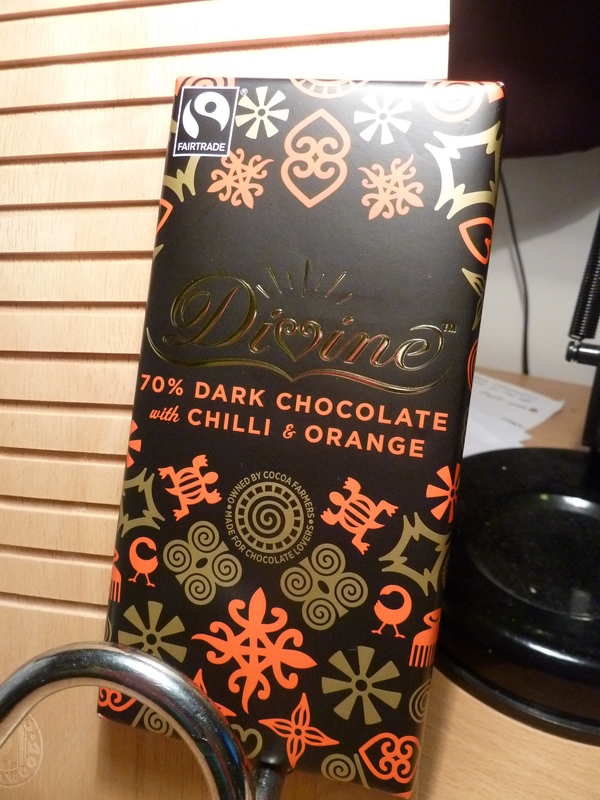 However, they do a wonderful job with the flavours in their new Dark Chocolate Chilli and Orange. Neither flavour is too strong - the warmth of the chilli creeps up on you slowly and the orange flavour blends seamlessly with the chocolate, which is smooth and rich. This could be my new favourite. Also worth sampling is their Butterscotch Milk Chocolate, which is quite frankly addictive. Chocolate combined with crunchy sugary sweetness is hard to resist.